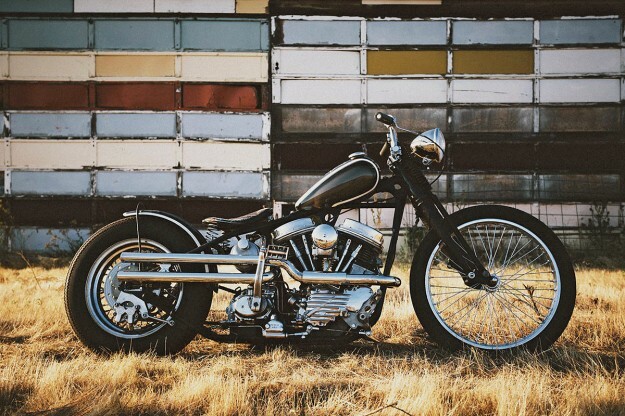 Is Harley-Davidson’s venerable Panhead the best looking motorcycle engine of all time? It’s certainly up there with the Triumph and Moto Guzzi twins. 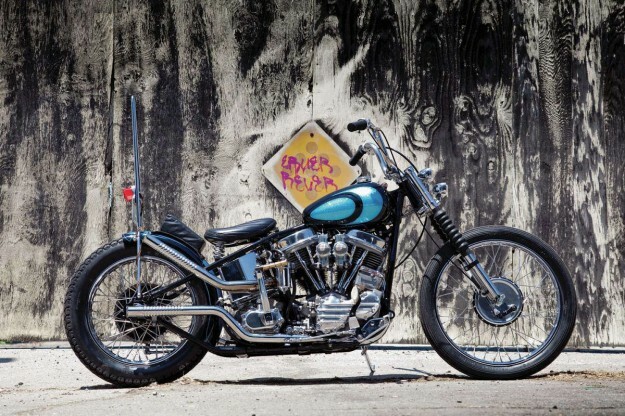 It’s nearly half a century since the last Panhead rolled off the production line, but its appeal has never waned. 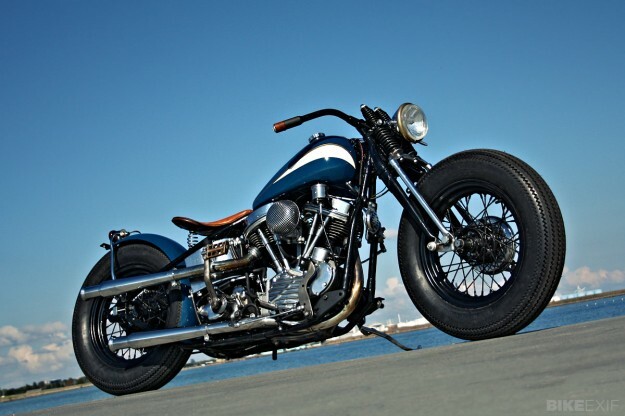 It’s a hit with both customizers and restorers, so we’re spoilt for choice with this Top 5. The ‘Pan’ was the mainstay of Milwaukee’s production from 1948 until the mid 60s. It fixed many of the problems that afflicted its predecessor, the Knuckle, with oil-tight aluminum heads and chrome-plated rocker covers. For some folks, the Pan has never been bettered. 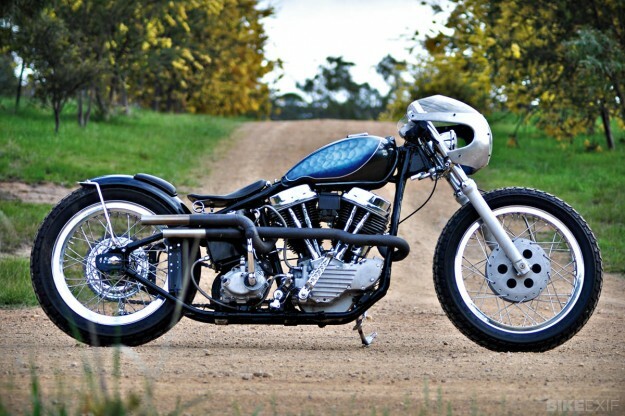 You can even buy a lookalike motor from S&S: It’s designed to slot into a post-1970 Harley chassis and will cost you a cool $8,000. 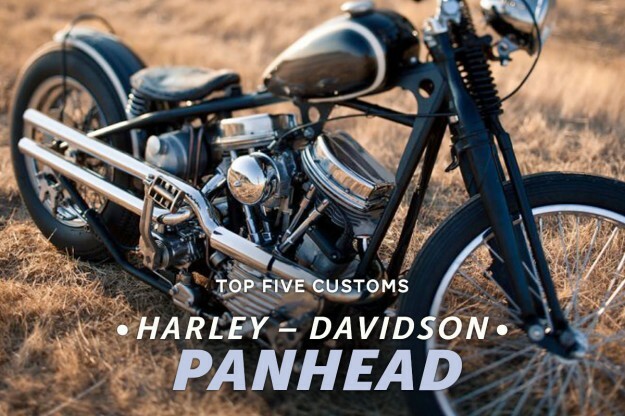 For this round-up, though, we’re focusing on custom Panheads that keep the retro vibe but crank up the style. The kind of bike you might want to take out early on a Sunday morning for a leisurely ride, letting the torque do the talking. Image (and top image] by Dylan and Sara. Reckon we’ve missed out a contender? Let us know in the comments. 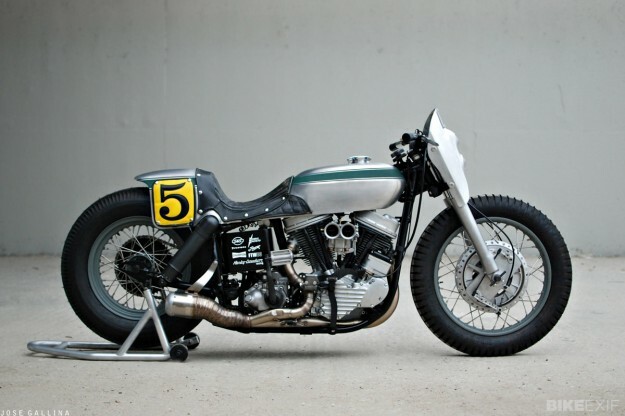 Last week’s Top 5 covered the Honda NX650 Dominator.